Having recently relocated to Northumberland, one of the first things on Ruth Tweddle’s list of things to do on a free weekend was to try out the cycling at Kielder. On the appointed day the weather was perfect (well, it was dry), the drive not arduous and we arrived safely at Kielder Castle Visitor Centre car park. Once the bikes were removed from their racks and the appropriate level of pre ride maintenance had been administered we were ready for the off. Due to different cycling abilities and motivations the family split in half. Son number one (age 12) has a serious need to throw himself down hills fast on two wheels so he and dad ventured off to try the “Deadwater Trail”. Son number two (age 10) and I have no need for any such adrenaline rush so we opted for the gentler Lakeside Way. Watches were synchronized and we agreed to rendezvous in a couple of hours for lunch and a debrief. There are two ways to tackle the Lakeside Way, either via the North or the South Shore. After reading the information on the Kielder Water and Forest Park website before our visit we chose to ride on the South Shore as the North Shore doesn’t offer any facilities or have vehicular access. Signage from the car park was clear and easy to navigate; no need for a map. We made good progress up to Bakethin Nature Reserve and just beyond the car park came across a wonderful carved bench with otters, salmon and osprey. 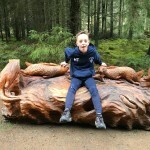 I believe that this was carved by Tommy Craggs as a part of Kielder’s “Living Wild at Kielder” project; it really is a thing of beauty and makes a perfect spot for a photocall. We carried on our way enjoying the views over Kielder Water and the peace and tranquility the forest environment offers. The paths are well maintained and made for an comfortable cycling experience, although I must admit I had the idea that as the Lakeside Way went round a lake that it would be flat. This was misguided; whilst none will challenge Alpe d’Huez, there are a few ups and downs that certainly raise the heart rate. The Lewisburn Bridge is at the bottom of one of these descents; a most fabulous curved suspension bridge that fits in beautifully with the environment. We stopped on the bridge and chatted to a couple of walkers and their dog who turned out to be regular visitors at Kielder. They shared how much they loved the place and gave us some recommendations of things to see, notably Silvas Capitalis on the North Shore and the children’s play area at Kielder Waterside! We had hoped to reach Kielder Waterside to try out said children’s play area, however time was again us and it was evident that son number two’s blood sugar levels were dropping. We turned around in Matthew’s Linn car park and started heading back to Kielder Castle with the promise of sausage, beans and chips focussing the child’s attention. The return journey was equally as pleasant; we even made it up the hill to the visitors’ centre without dismounting. As luck would have it, the other half of the family had also just arrived back (it was as if we’d planned it) and we went to the cosy Kielder Castle Cafe (or Duke’s Pantry) to swap tales of our bike rides. The Deadwater Trail proved to be a suitably exciting affair with the right level of technical challenges and opportunities to go fast and “get some air”. From this I was secure in the knowledge that we had made the right decision to ride the Lakeside Way. Once suitably fed and watered our first visit to Kielder came to a close. We will definitely be back, the thrill seekers want to try the Osprey Trail and we leisurely cyclists would like to challenge ourselves to make it all the way to Kielder Waterside and back, about 12 miles. We’re already looking forward to it. 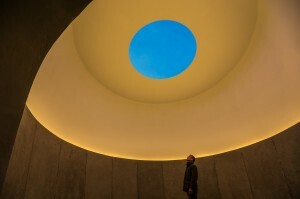 If I am ever asked, “What are your career highlights?”, top of my list without hesitation, is having been involved in the project management and delivery of the James Turrell Kielder Skyspace in 1999/2000. 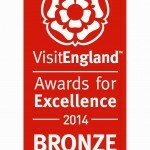 I was the Kielder Partnership marketing and events officer at that time. 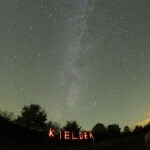 I returned to work at Kielder on the Living Wild project in 2017 and was delighted to be invited to attend an event at the end of last year to show the refurbished and newly installed lighting in the Skyspace. The original project had substantial Arts Council and other matched funding and involved true partnership working to see it through to successful completion. Originally planned to be built in the North Pennines on the Coast to Coast cycle route, for various reasons it ended up being a Kielder project. Arts curator Judith King and I progressed the early plans with discussions with Kielder partners about potential sites. Peter Sharpe took over as curator part way through the project to completion. We had a most memorable site visit with James, his elegant wife Kyung and Kielder partners in a borrowed minibus which I was driving. I took a wrong turn somewhere on the north shore, when James never having been to Kielder before was able to get me back on the right road, ending up with cups of tea in Kielder Castle using a wooden box for a table. James loved the last potential site we took him to – a rocky outcrop at Cat Cairn with then spectacular views over the whole reservoir and much of the forest. 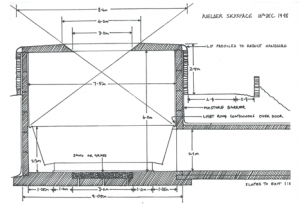 Peter and I worked up the project with James, who sent a hand drawn design with very specific measurements for the “space”. I was unfamiliar with James’ work, Judith and Peter had seen several pieces of his work including a temporary piece in the Hayward Gallery in London so knew more of what we were creating. As per James’ drawing left, the Kielder Skyspace consists of a short tunnel that leads to a partially buried circular room with a ceiling containing a central circular oculus (opening) and a ring of seats forming the lower part of the inner wall. Our work over 2 years included liaising with civil engineers Babties regarding the construction – a little different from their usual work as we asked them to do a large pour of concrete core with traditional Northumbrian stone walling on the exterior in a very remote location just a few miles from the Scottish border. We worked with light technicians for the internal lighting and with solar and wind power consultants to get a power source for the lighting again in one of Kielder’s most remote locations. The project was all consuming but went on hold for 6 months as I took maternity leave for my son Richard, and came back to work in April of 2000 to pick it all up again – with the official opening event held in September 2000. Peter and I collected James at Newcastle airport the afternoon before the launch. James walked through the arrivals gate, inconspicuous in cowboy boots and a Stetson hat – well he does own an extinct volcano and ranch in Arizona! We drove straight up to Kielder, almost dusk. James chatting all the way about how the Skyspace would work. To me – the uninitiated – I had no clue what to expect. Peter, me, James, Phil (a Forestry Commission ranger) and his dog met Mark Pinder photographer at the Skyspace. The lighting performance began and we were all stunned. The balance of the constant interior light working with the changing outside light creating an ever changing plug of colour in the circular space. Through the development of the Kielder project, James told us about his interest in the psychology of perception, essentially how our brains work to make sense of the world around us and invent a reality to fit the information that our senses provide. In the Skyspace, a visitor’s experience of colour becomes particularly challenged and the sky viewed from within the space often appears very different from the same sky seen outside. When I take visitors I try to remind them that this is by its very nature an individual experience, and no two people will ‘see’ the same thing. James own quote about his work being , “My work is not so much about my seeing as about your seeing. There is no one between you and your experience”. The project attracted much national and international media coverage. Pete and I enjoyed taking many a journalist up the (then) rough forestry road to show them the Skyspace – from Monty Don ( who caused quite a stir in the Bellingham tea rooms) at that time writing for Gardens magazine; Helen Pickles from The Times weekending supplement to Waldemar Januszczak for the Sunday Times Culture magazine. The initial lighting comprised 2000 fibre optics tucked around the rim of the seating. As mentioned the power source was a combination of wind and solar. However, with every project there are issues – and eventually the power became unreliable meaning that while the daytime effect (see below) remained stunning, the dusk performance wasn’t always available. 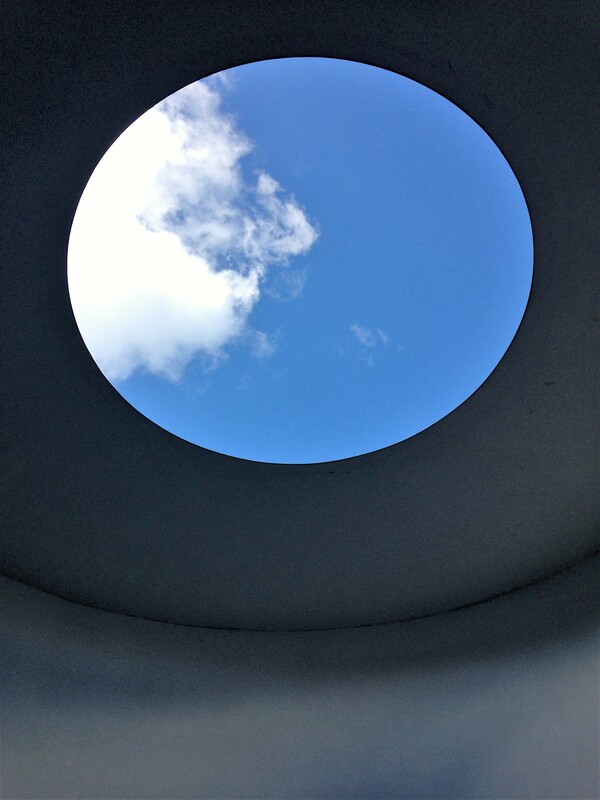 So in spring of 2018 , after receiving an Arts Council of England grant and money from the Henry Moore Foundation, the Kielder Skyspace had a major refurbishment that included updating all of its lighting and power equipment and repainting the upper chamber. The new lighting programme was designed by James Turrell working closely with UK lighting artist Eleanor Bell and differs fundamentally from the original system. The new LED set up delivers a more even and much brighter illumination and incorporates a digitally controlled lighting programme that varies the intensity of the lighting throughout the period of dusk (about 65 minutes in total) starting at sunset each day. So late last year, the launch event to experience the new lighting was very memorable. By chance both Peter and Judith were there – the original dream team reunited! It had been more than 15 years since I had seen the lighting in working order. The new lighting effect had me spellbound, and in places moved to tears (happy ones) To me, the work is so stunning. It is so simply beautiful. I encourage everyone to take the time to experience the light “performance”. 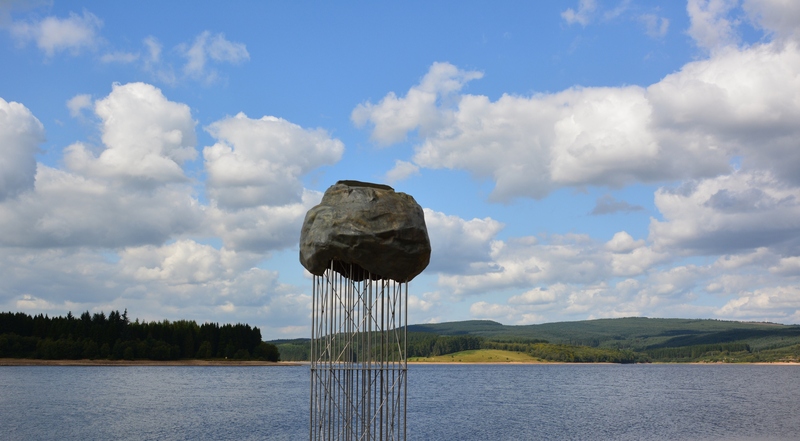 Visitors wishing to drive up to the sculpture can get a key to the forestry barrier beyond the car park; this is available for a refundable deposit from Kielder Waterside reception or Calvert Kielder. Peter has added a very useful dusk time list to the website so you can plan the best time to visit. 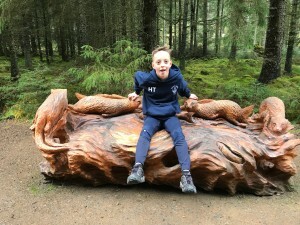 Kielder Water & Forest Park’s unique outdoor arts programme is set to continue evolving and become increasingly inclusive, thanks to a new project supported by funding from Arts Council England’ (ACE) Project Grants programme, says Lynn Turner. The Kielder Art & Architecture programme uniquely turns parts of the Park into an outdoor art gallery. And now, a £49,700 grant will see new artistic works complemented by a range of community outreach projects that will open the programme up to an even wider audience. The Kielder Brag is a trans-media fairytale that will use social media and online platforms to enable young people to interact with, and add to its ever-evolving story. Writer and illustrator Niel Bushnell has already begun work on the creative content and teachers have been contacted to plan how children and young people can best get involved. 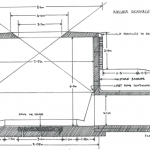 Educational work with schools will expand, with a three-day architectural workshop aimed at Year 12 pupils, as well as interactive sessions in middle and high schools. The programme’s popular curator-led tours will be targeted to specific groups, through work with organisations such as Calvert Trust Kielder, to enable disabled guests and their families to experience the area’s art. Work will also be carried out, aimed at building and enhancing relationships with people from black and minority ethnic (BAME) communities, as well as with refugees and asylum seekers. 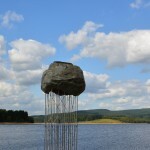 Tethered Cloud, a new installation at Kielder Waterside by architects Messer, Glover and Grindley, will take the form of a reflective ‘cloud’ that hovers in the air and changes its appearance as the weather, time of day and seasons change. Waymarker, a new permanent landmark to be created by artist David Rickard, will be created on the Lakeside Way, to provide enjoyment, shelter and directions to visitors. Work will take place to progress the redevelopment of Forestry Commission’s Kielder Castle, to increase its appeal to cyclists and outdoor enthusiasts. Refurbishment work on the award-winning Kielder Belvedere, the programme’s first installation, will ensure it remains an attractive draw for visitors. The Kielder Art & Architecture programme is a unique and increasingly strong draw for visitors to the Park, making it a wonderful place to visit and ensuring there is always something new to experience here. The funding from Arts Council England will help us to develop creative projects that support our partner organisations’ work in the area, enhancing the visitor experience. We want to expand the numbers and diversity of visitors to the Park and the exciting projects being developed as a result of this funding range from multi-media activity to direct engagement with people who may not have previously experienced anything like what we have here. With further funding being applied for to develop other projects, this is a very exciting time for everyone involved with Kielder Water & Forest Park. 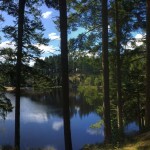 Lynn Turner is Director of Kielder Water & Forest Park Development Trust. Those who know me outside of the Poets Day Pint beer blog will know that, as well as beer, I have a real love for my native North East of England, and a particular fondness for the Kielder area of Northumberland. Over the last couple of years, the area has seen the reintroduction of water voles. 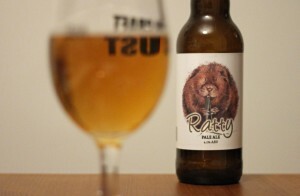 Having previously been a common site in the area, they have had a serious decline over the last 30 years, and Northumberland Wildlife Trust, through its Restoring Ratty project, has been at the forefront of the species’ return. 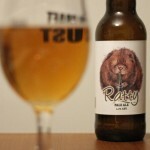 This blog post was originally written for the Poets Day Pint beer blog.